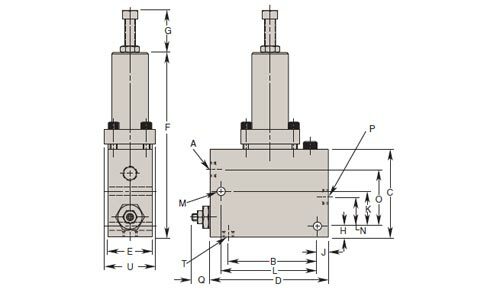 Pressure reducing valves are designed to reduce the maximum pressure in a portion of a hydraulic circuit: the valve is open from the inlet to the outlet until a pre-selected pressure is reached, at which point the valve closes to limit pressure in the secondary circuit. 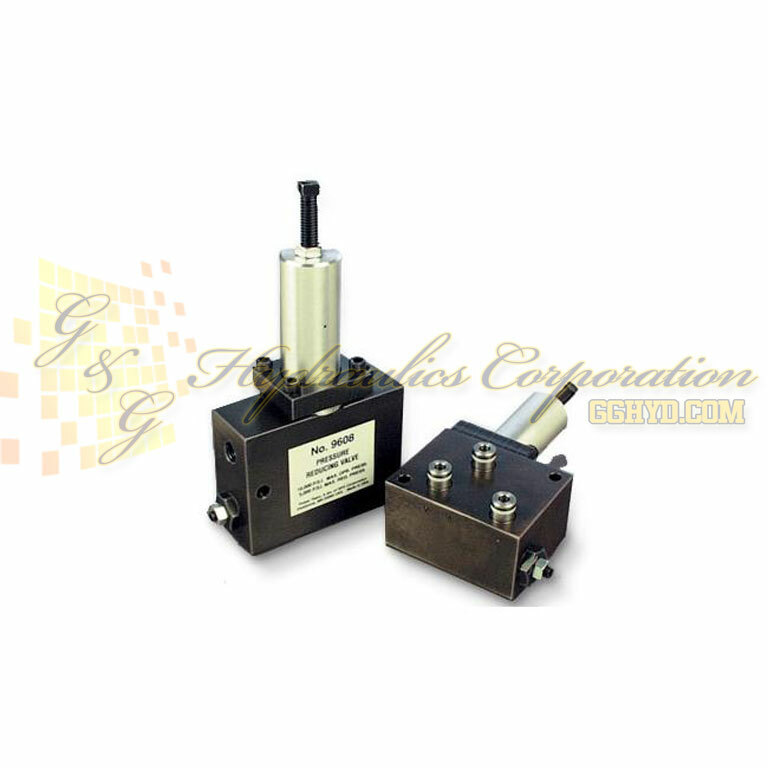 The need for a separate power source for each pressure level is eliminated. Valves seats and poppets are precision ground, assuring virtually zero leakage and eliminating the need for a case drain line. 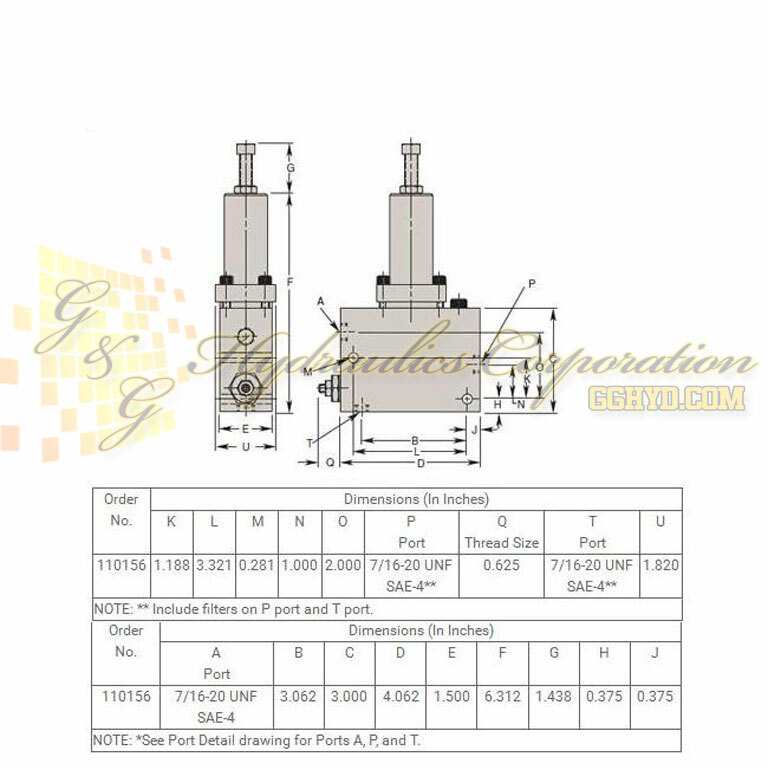 The drain port (T) is used only during set up of the internal safety relief valve. This adjustable relief valve can be set to just above the reduced pressure setting so it will open only if contamination or another malfunction prevents the pressure reducing valve from closing, causing the outlet pressure to rise above the relief valve setting. The drain port should never be plugged, although it is seldom permanently plumbed into the circuit. NOTE: *See Port Detail drawing for Ports A, P, and T.
NOTE: ** Include filters on P port and T port.